Join Decatur Active Living for the September Third Friday Bike Ride on Friday, September 18. 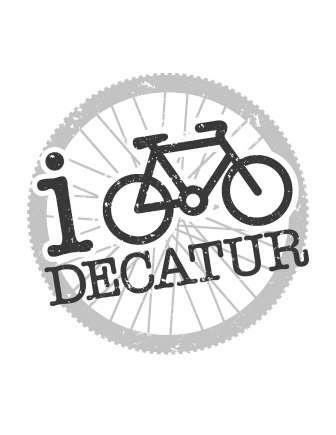 This month Lee Leonard will be our ride leader for a 5-6 mile ride around Decatur neighborhoods. Meet in front of the Decatur Recreation Center and be ready to ride at 6:30 pm. After the ride we will visit a neighborhood watering hole for fun and refreshments. All levels of riders are welcome – no one will be left behind! Be sure to wear a helmet and have a light on your bike. The ride home gets a bit dark. This evening’s ride will be an introduction to the geography of my hometown of the last 25 years. We’ll be riding over and under the subcontinental divide that runs through Decatur, over a creek that flows into the Atlantic, as well as along one that flows into the Gulf of Mexico. It’ll be a short ride (less than 5 miles) and a little bumpy on the Gulf of Mexico side. If you’re a bike geek that has a choice of fat or skinny tires, go with the fat tires today, though everyone will be fine. I’m looking forward to see everyone. It’s going to be a lot of fun.